Turns out, there’s a little known secret to making every room of your house smell like a dream. It’s not a magical potion, it’s not a joke, and it will enhance your daily mood while making your home smell fresh at the same time. 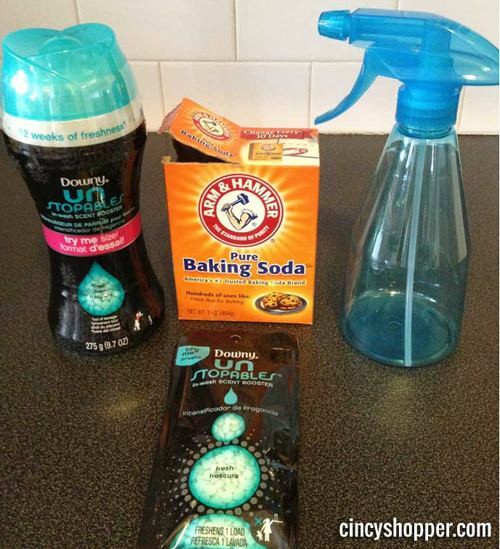 It’s a super easy DIY homemade spray that smells better than any name brand on the market today. 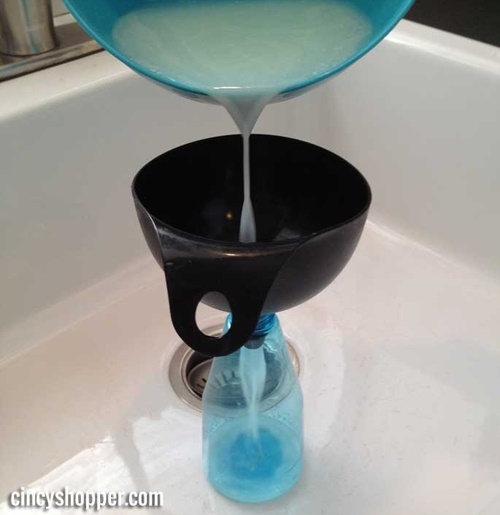 Even better, it will only cost you 60 cents to make one bottle of your own concoction that will last the same amount of time or even potentially longer than any over-the-counter air fresheners (unless you become addicted to the smell and use it constantly; no judgement here). There is one ingredient that really makes this product stand out from any other air freshener, and that, my friends, is Downy Unstopables. 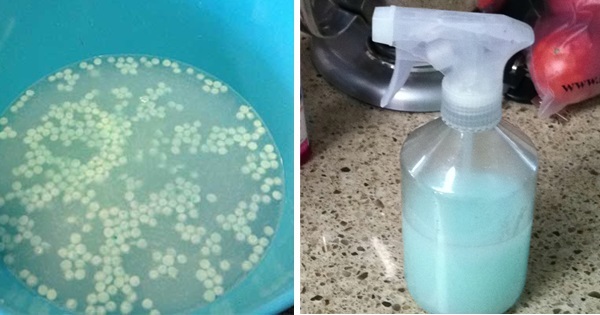 If you haven’t seen them on shelves yet, they’re little scent-booster beads that you can throw in the washer with your normal laundry load to make your clothes smell great. They come in a few different scents, and the fresh scent lasts for quite some time. Pour the boiling water on top, stirring the mixture together. 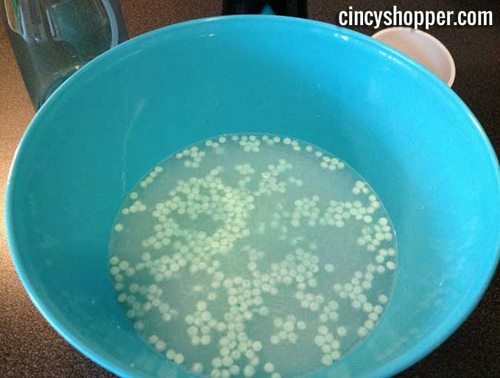 Once the beads have all turned to liquid, use the funnel to pour the mixture from the bowl into the empty spray bottle. 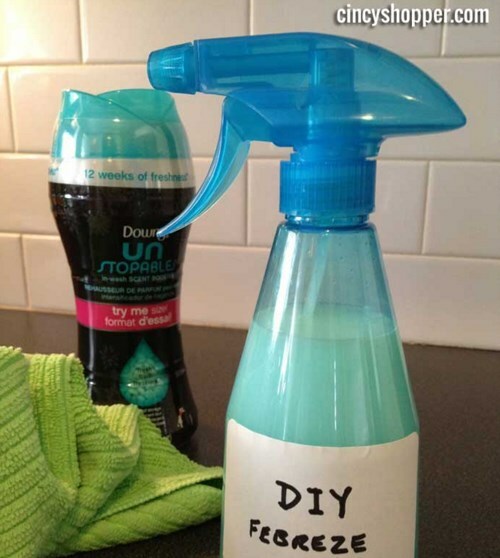 Use your DIY air freshener on carpets, furniture, clothes, shoes, curtains, or anything else your heart desires. 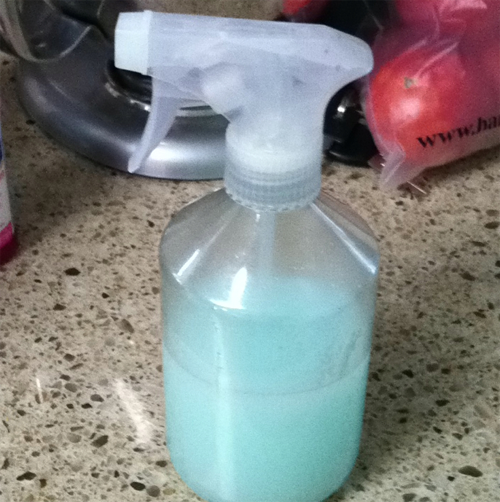 It’s great for controlling pet smells as well and works like a charm on dog beds or cat posts. Plus, it won’t leave behind any unwanted residue or film for you to clean up later. Finally, you can have the incredible smelling home on the block that no one, yourself included, will be able to get enough of! Save a little money and breathe happier with every passing day, DIY. Thanks to Jen for this amazing idea, head over to her blog to find all the details here.